Saturday and Early Morning Appointments Available - Reserve Yours Today! Our mission is to provide top-notch dental care for the community of Virginia Beach, Virginia and the surrounding areas. Dr. Shabana Zahir and the staff at Ideal Smiles extends personal greetings and warm welcome to you and your family. Our first priority is the comfort and care of our patients. By combining today's newest technologies with exceptional skill and care, we can bring a naturally healthy smile back into your life. We offer wide range of services. Some of the many services we provide include: General Dentistry, Cosmetic Dentistry, Orthodontics (Six Month Smiles and Invisalign clear braces). We will work together with you to diagnose, plan treatment, and care for your smile. We understand that the oral health is closely related to the overall systemic health, and we will do all we can to improve your oral health so that you can have improved overall health, as well. 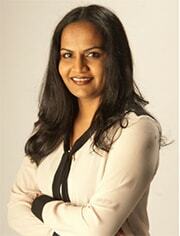 Dr. Shabana Zahir, graduated with high honors from Boston University Goldman School of Dental Medicine. She has been practicing general dentistry in Hampton Roads area for several years. 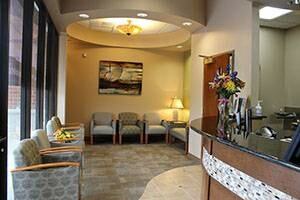 Dr. Zahir dedicated her practice to offering complete, modern dentistry to all patients. She has made a commitment to providing services that will enable her patients to obtain their optimal dental health. Injuries or infections involving your mouth, teeth, and gums can be painful and can have lasting consequences if not treated effectively. Our emergency dentist in Virginia Beach,VA, provide high-quality and comfortable emergency dental care for our patients. Call our office now at 757-962-7000. We are here to help ensure that your teeth are cared for and every effort will be made to ease the pain or repair your tooth. For convenience, we are open Monday - Friday 08:30 AM - 5:00 PM and on Saturdays by appointment only. We accept most major insurances and also welcome patients with no insurance. We treat patients of all ages. Ideal Smiles Dentistry accepts most major insurances. Dr. Zahir and her staff will make every effort to provide you with the finest care and the most convenient financial options. To accomplish this, Ideal Smiles Dentistry works hand-in-hand with you to maximize your insurance reimbursement for covered procedures. Please contact our office at 757-962-7000 if you do not see your insurance provider listed and bring your insurance information with you to your appointment. Even careful daily brushing and flossing may miss some of the hard-to-reach areas of back teeth. Once plaque starts to form, if not cleaned properly it will harden into tartar. Tartar must be removed with a professional cleaning before it accumulates below the gumline; otherwise, it develops into bacterial infection of the gums. Not only do you risk losing your teeth, but research has demonstrated a link between this type of infection and serious conditions like stroke, diabetes, and heart disease. We recommend having your teeth cleaned by our hygienist on a regular basis to keep your teeth and gums healthy, and to lessen the risk of problems for other health conditions. Are you tired of staring at that chipped tooth at the front of your mouth? Ideal Smiles Dentistry may have the answer, and it comes in the form of dental crowns. As a trusted dentist office in Virginia Beach, VA, we offer crowns for cosmetic and restorative purposes so that our valued patients can enjoy their smiles while preserving their oral health. If you know that you need a crown, or if you have a toothache, please call us immediately. A damaged tooth will only get worse if left untreated. Missing teeth can have a serious effect not only on your smile, but also on your oral health. Missing teeth can impact the alignment and integrity of your surrounding teeth, causing you further problems down the road. And missing teeth can also result in unwanted periodontal disease and decay. If you're missing teeth, come to Ideal Smiles Dentistry in Virginia Beach, VA that provides dental bridges to patients in need. There are a variety of different bridges. Dr. Zahir will guide you in deciding which option best fits your needs. A filling is used to repair a tooth that is affected by decay, cracks or fractures. In just one appointment, the decayed or affected portion of the tooth will be removed, cleaned and filled. There are many types of filling materials. When choosing yours, consulting with Ideal Smiles Dentistry is strongly recommended. Dental implants are used to replace single or multiple missing teeth. They're designed to give you the strength, stability, resilience and support of your natural teeth. Dental implants are replacements for both the root and the tooth made to provide the needed support in your mouth. The implants are surgically placed in the upper and lower jawbone of your teeth. When attached, they look and feel like natural teeth and enhance and restore your smile. Ideal Smiles Dentistry is excited to announce a revolutionary new way to straighten your teeth with the Six Month Smiles system. Don't hide your smile because you are embarrassed about uneven teeth. If you didn't straighten your teeth as a child or adolescent, you can still have a beautiful, uniform smile in just six months or less! !